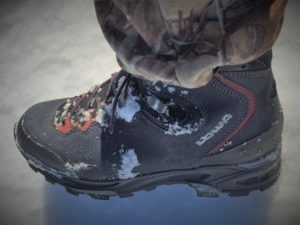 Reading the literature, there is no doubt that the Lowa brand has achieved critical acclaim all over Europe, with their design and manufacture complying with the stringent quality standards that are needed to supply a footwear that will stand up to the unique and harsh conditions of the European outdoors. 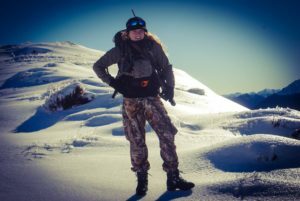 I had just returned to Australia from a trip to New Zealand, testing the boots in the ice-capped mountains of the rugged West coast. There was by no means any shortage of genuine testing of the boots comfort and water proof ability. There was a lot of navigating hilly terrain. Hilly, cold and wet terrain..
Straight out of the box, the boots felt like they were made for walking. The unique lacing system, with free moving, ball bearing lace loops, made it easy to achieve the necessary support around the ankles, and the unique tongue stud, preventing a slip of the tongue. (On the boots that is. There were many a human tongue slip while falling through half a metre of ice-capped melted snow with each step!) In the snow and rain, the boots were absolutely water tight. This was thanks to a combination of leather construction on the outer, and the breathable GORE-TEX® lining. 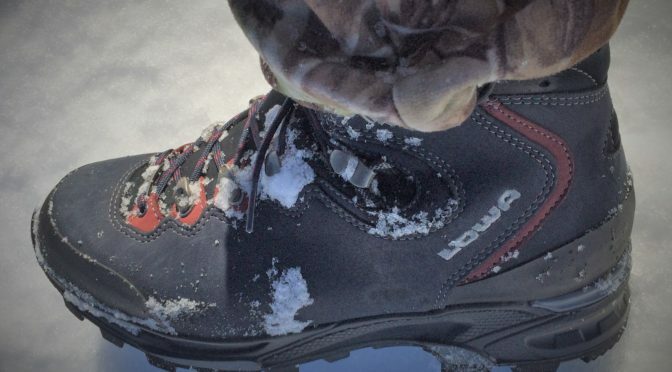 Just a note, no matter how waterproof your boots are they won’t stay dry if the snow gets in from the top!! I learnt a harsh lesson about the importance of Gaiters! However, the boots were accommodating enough to allow me to comfortably add a couple pairs of woollen socks without impeding circulation. A tick in the comfort box. However, I wanted to test the boots in Australian conditions. Australia is indeed unique, in that in one island, we have a thousand snapshots of all the world has to offer, both good and bad. From the humid top end, that gives us the extremes of wet and dry, to the dry semi-arid flat country, with its dry heat, all manners of prickling and stinging plants (and venomous slithering reptiles) and of course the great dividing range of the east coast (our attempt at ‘mountains’), with it’s four seasons in one day, thick scrub and tricky terrain. 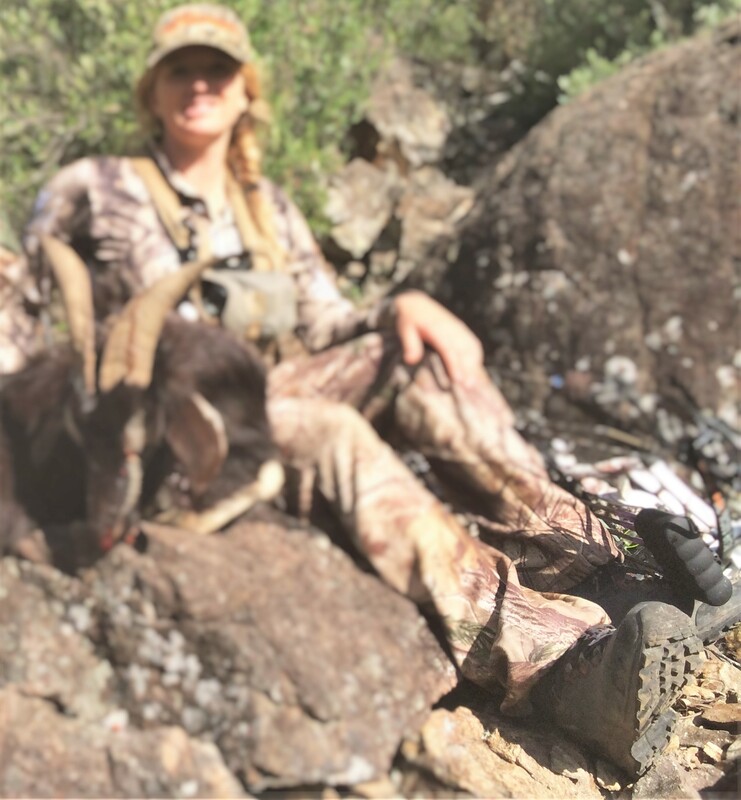 First stop for product testing was the rocky country of Northern NSW, chasing goats with compound bows. Along on the trip (also wearing the Lowa brand) was Dave Fent from Aussie Hunting Adventures, who was filming for a bow hunting episode for future series of Aussie Hunting adventures. We would be navigating in true mountain goat country. Walking with stealth through this country, with a bow, would require the sure-footedness of a mamma goat. And the mamma goats have been mamma goats for a lot longer than I have, so I needed help to even out the handicap. 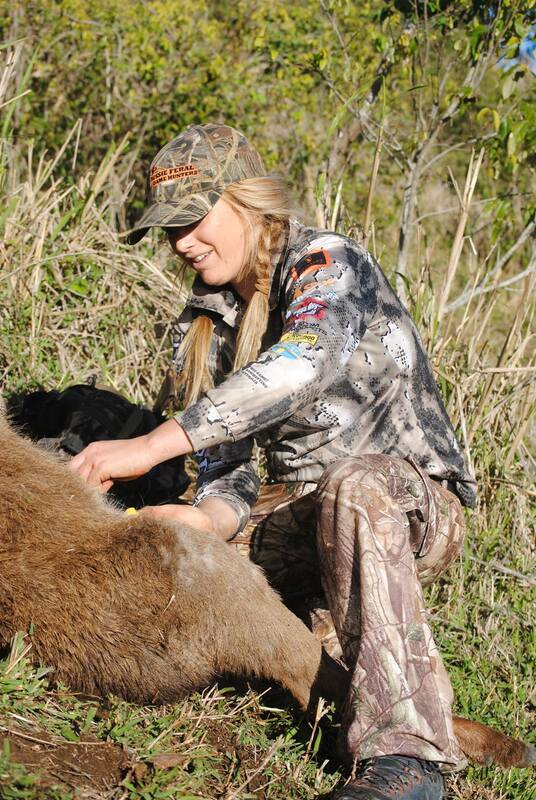 For the bow hunter, stealth is a must. Previous to acquiring these boots, I would often be found hunting in anything from irrigation boots, thongs (aka Flip-flops for our international audience) and even bare feet. Quite unsafe, I know, but all boots I had so far tried were heavy, loud and cumbersome. 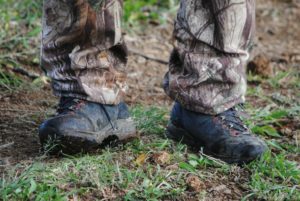 Getting closer to the animal than 40 metres meant taking off the boots prior to the stalk (and usually forgetting where you put them down). But the Vibram® Apptrail Outsole of the Mauria’s were oh so quiet. The Flex-fit system provided natural ankle flex, letting me walk with a natural gait but still allowing the stability needed while traversing beds of loose rocks and wet soil, giving me the confidence to exercise the ‘sheer athleticism’ needed while chasing these incredibly nimble animals. The grip was incredible, with a self-cleaning tread and large surface area provides increased contact area. These boots tick all the boxes for any outdoors woman. The comfort level was unmatched. Four days in a near-new pair of boots, and I had not even a hint of a blister or hotspot forming. The fit was perfect, with the wide make allowing the feet to move, breathe and circulate. 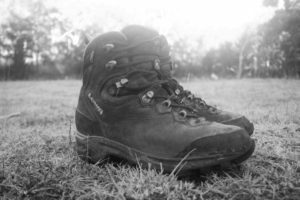 I was impressed with how quietly I could walk in footwear that could also provide such stability, and importantly, good traction. In fact, if our vehicles had been wearing these boots, they probably would not have gotten ‘bogged’ on the first morning! On a recent trip across the ranges we stopped in to help a farmer with a pig problem and within minutes we were straight into the action! Dan had walked straight into wallow near where the mob was last sighted and a swift shot out of his U/O 12ga 00shot sent a large sow on the rampage sending other pigs in all direction and as we formed a shooting line for safety a good sized young boar popped out a few meters in front of me! I heard him coming so I chambered a round in my Browning A-Bolt ,22-250 and had minimal time to shoulder the rifle when he popped out sending a 55gr Federal pill into his left lung slowing him enough to finish with a follow up shot for good measure. This little piggy wont make the markets.. This goat loses its footing and performs a massive recovery! Love how it shakes it off and moves on! Thanks to Tyson Fisher for the vid! What happens next will blow you away.. Luckiest goat alive! Aussie Hunting at its best!